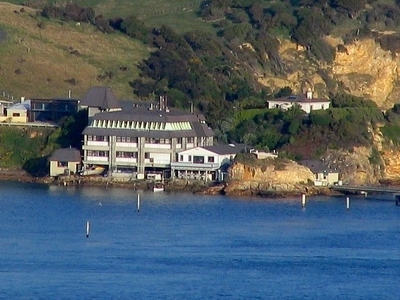 The Portobello Marine Laboratory is located on the end of a short peninsula close to the township of Portobello, within the limits of the city of Dunedin in New Zealand's South Island. It is run as part of the University of Otago, the main campus of which is 23 kilometres to the southwest in Dunedin's main urban area. The laboratory is New Zealand and Oceania's oldest established marine research facility and was opened on 13 January 1904. Originally proposed by leading naturalist G.M. Thomson in 1895 as a fish hatchery, it was initially planned to have it sited at Purakanui, north of Port Chalmers, but the current site on the shores of Otago Harbour was deemed more suitable. The laboratory is highly regarded worldwide for its facilities and research, and is an important asset to the university's Marine Science Department. 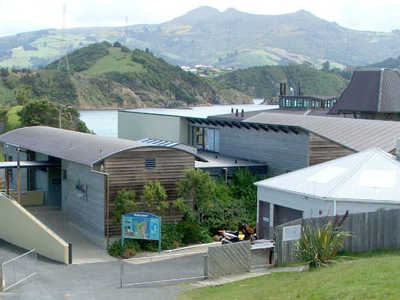 The facility also includes the New Zealand Marine Studies Centre and Aquarium, which is open to the public. For this reason, the laboratory is often referred to locally as the Portobello Aquarium. Here's the our members favorite photos of "Research Centers in Otago". Upload your photo of Portobello Marine Laboratory!